Just as orthodontics repositions teeth, surgical orthodontics or orthognathic surgery corrects jaw discrepencies to improve a patient’s ability to chew, speak, and breathe. Often, orthognathic surgery will also improve one’s facial appearance too. In other words, surgical orthodontics straightens your jaws. Moving the jaws also involves moving the teeth, so braces are always performed in conjunction with jaw surgery. This helps make sure the teeth are in their proper positions after surgery. Dr. Angle will consider surgical orthodontic treatment for a non-growing adult patient with an improper bite and with facial esthetic concerns. Jaw growth is usually completed by age 16 for girls and 18 for boys. All growth must be completed before jaw surgery can be performed. However the pre-surgical tooth movements can begin one to two years prior to these ages. During your orthodontic treatment, which usually lasts 12-24 months, you wear braces and will visit your orthodontist for scheduled adjustments to your braces. As your teeth move with the braces, you may think that your bite is getting worse rather than better. However, when your jaws are placed into proper alignment during orthognathic surgery, the teeth will then fit into their proper positions. Dr. Angle communicates with your oral surgeon to make sure the teeth are where the surgeon needs them so that an ideal result will be achieved. When you have completed surgery, you should be able to return to school or work within two weeks. After the necessary healing time (about 4-8 weeks), your orthodontist “fine-tunes” your bite. In most cases, braces are removed within 6 to 12 months following surgery. 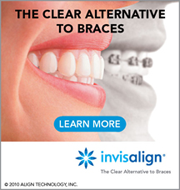 After your braces are removed, you will wear retainers to maintain your beautiful new smile.